In this article you’ll learn everything about adjustable shawls: How to create them, how to make specific shawl shapes adjustable, how to resize shawls, how to turn existing shawl knitting patterns into adjustable shawl patterns and much more. Size matters, so make these shawl patterns fit your needs! 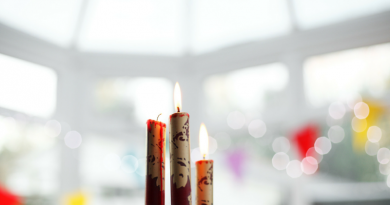 The topic is so broad I decided to split this huge article into a few, smaller ones. I hope the new structure will increase readability, and I’d be more than happy to hear from you. Please just leave a comment below this article if you have any suggestions. Thank you! Adjustable shawls are shawls where you can freely decide how many repeats you knit and no matter how many repeats you decide to work, the design still works. Adjustable shawls are adaptable in size and can be easily resized. Yarn usage can be calculated in advance so left-overs can be minimised. Another benefit is that you’ll not be worried about running out of yarn before your project is finished. What Makes a Shawl Adjustable? 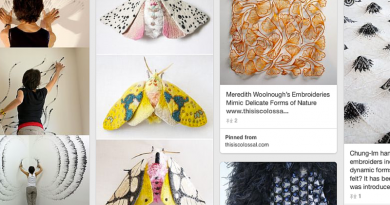 How To Resize Knitted Shawls? For intricate lace patterns, it’s a different story. As the story of resizing knitted shawls is not told in a few lines or a paragraph alone, I wrote a whole article only about how to resize knitted shawls, especially dealing with resizing more complex patterns. 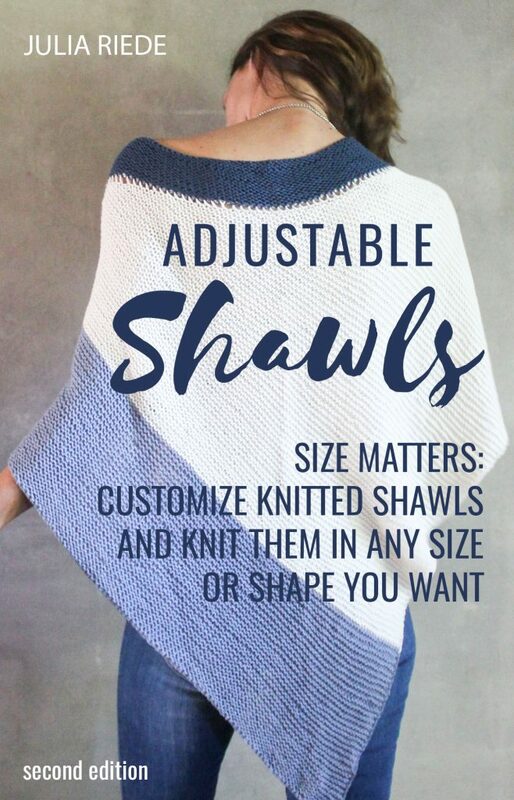 You can find it here: How to Resize Shawls and I strongly recommend reading it to get a further understanding about how resizing shawls works. 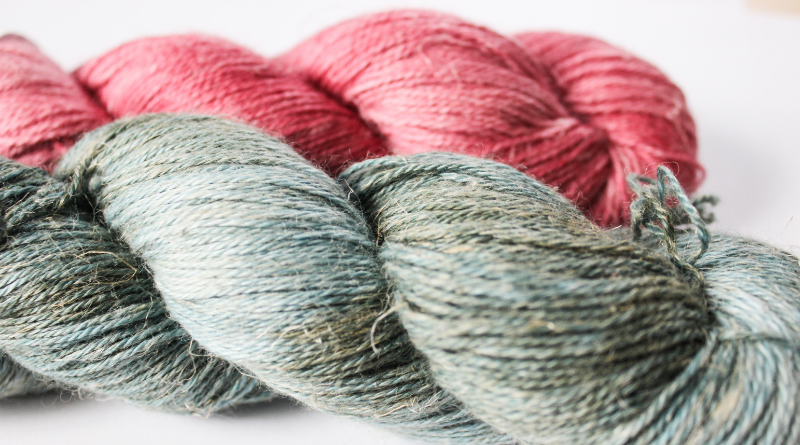 Imagine you found a lovely skein of hand dyed lace weight yarn you plan to knit a shawl with. Unfortunately, it’s one of a kind and you only got one. How do you make sure not to run out of yarn in the middle of your knitting project? Nothing sounds very practical so far. But we got the solution: The most useful adjustable shawl tool is nothing fancy, but just your ordinary kitchen scale. You can read more (and see my kitchen scale in action) here. This article has been part of an online course on adjustable shawls and back then, it had a course schedule. I’m keeping it here for merely historical reasons. All articles linked below are linked in the corresponding paragraphs above, too. Day 1: What Makes a Shawl Adjustable? PS. Did you know these articles are available in extended form as book? 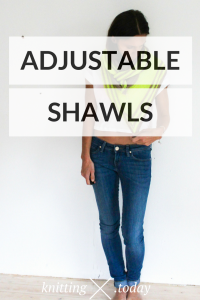 You can get it here: Adjustable Shawls. I’m looking forward to working through the adjustable shawls course with you! Talk about timely! I have been on a shawl kick since last fall. Sweaters are too hot for me. My husband keeps the house too hot for me and shawls are the perfect answer.